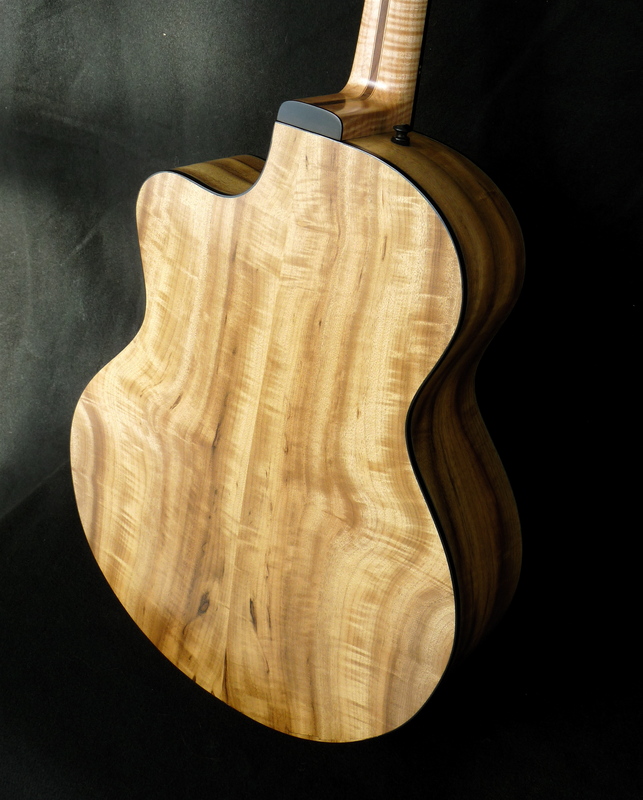 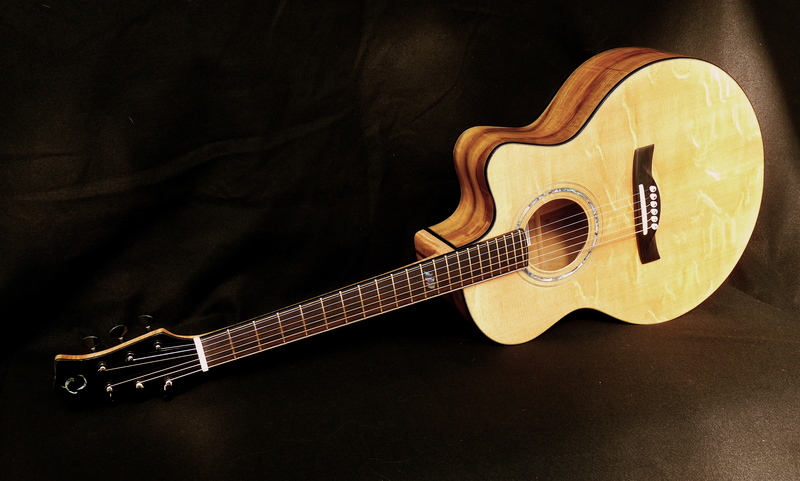 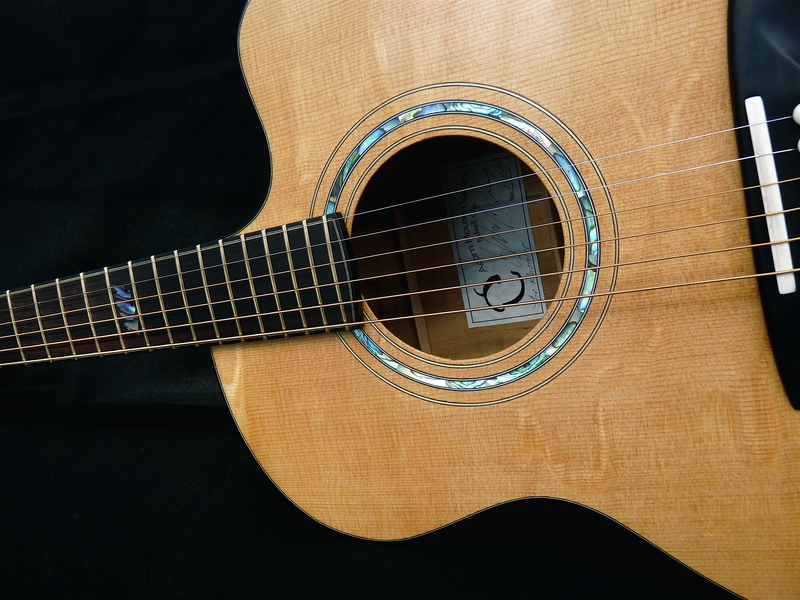 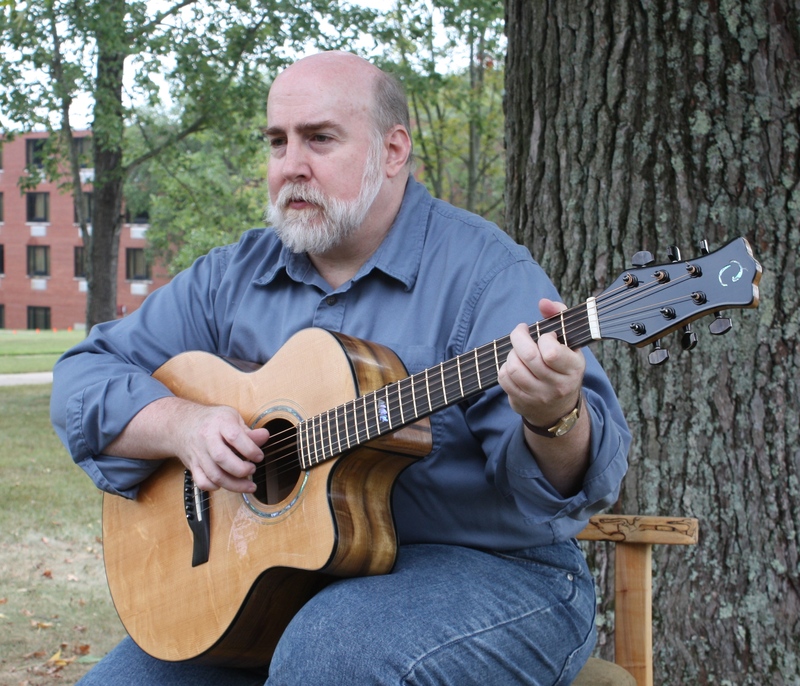 Small jumbo sized (15.5″ lower bout) acoustic guitar with a Venitian cutaway named “The Rounder” for its bountiful curves. 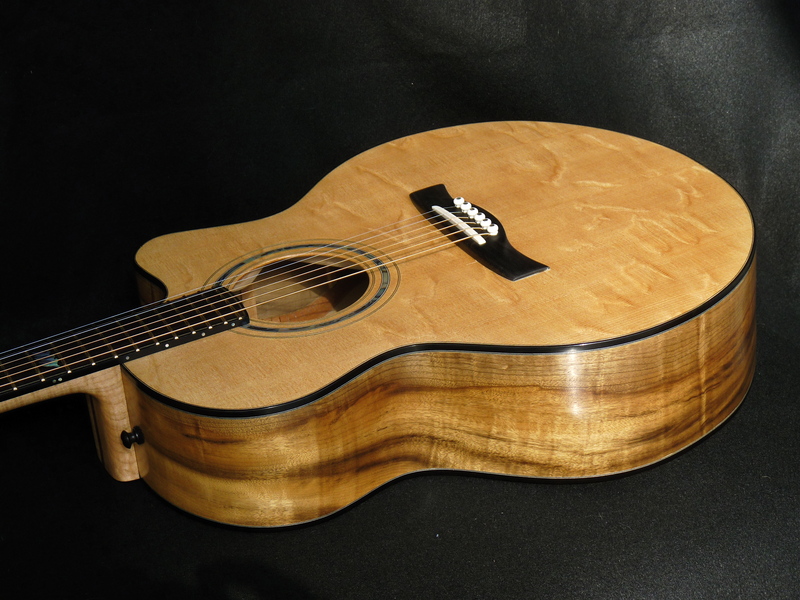 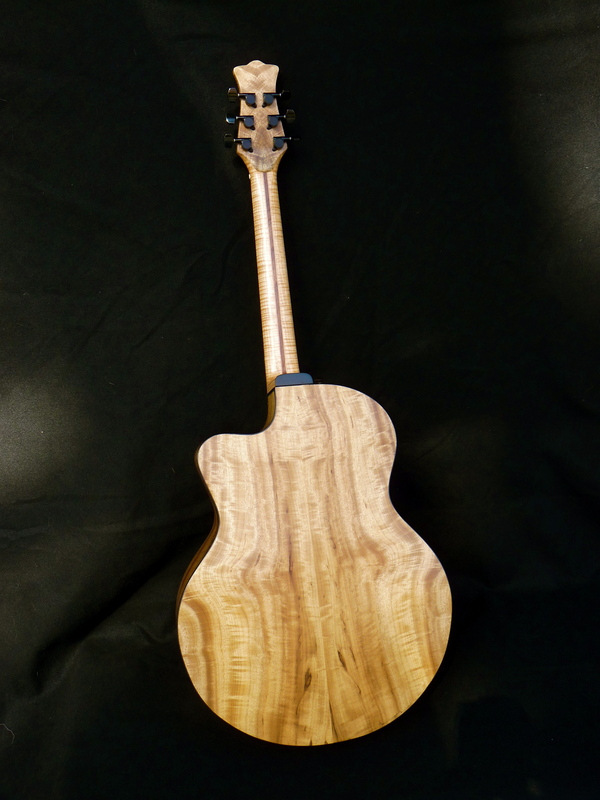 Pictured with a “Bearclaw” Sitka spruce top and Oregon myrtle back and sides with a curly maple neck with central walnut maple and mahogany layers. 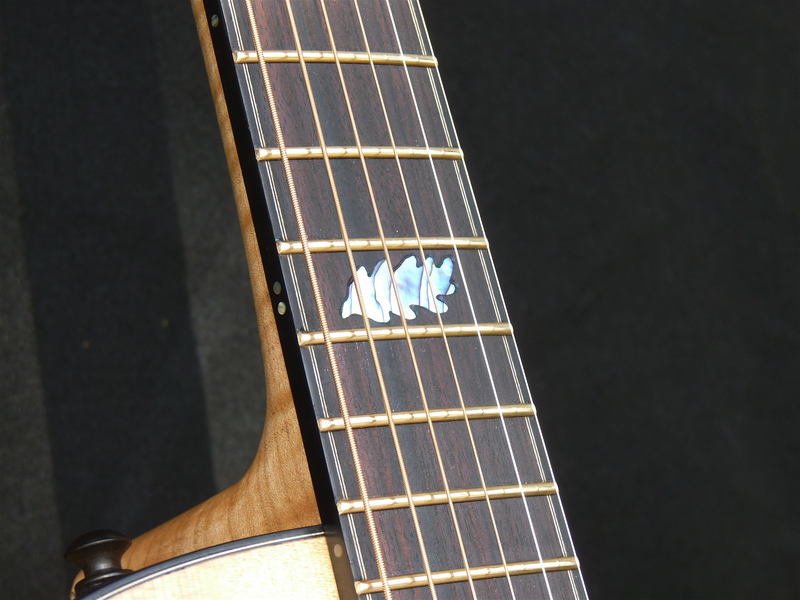 Macassar ebony fingerboard, ebony binding, bridge and headstock overlay with abalone rosette and acorn and leaf inlays. 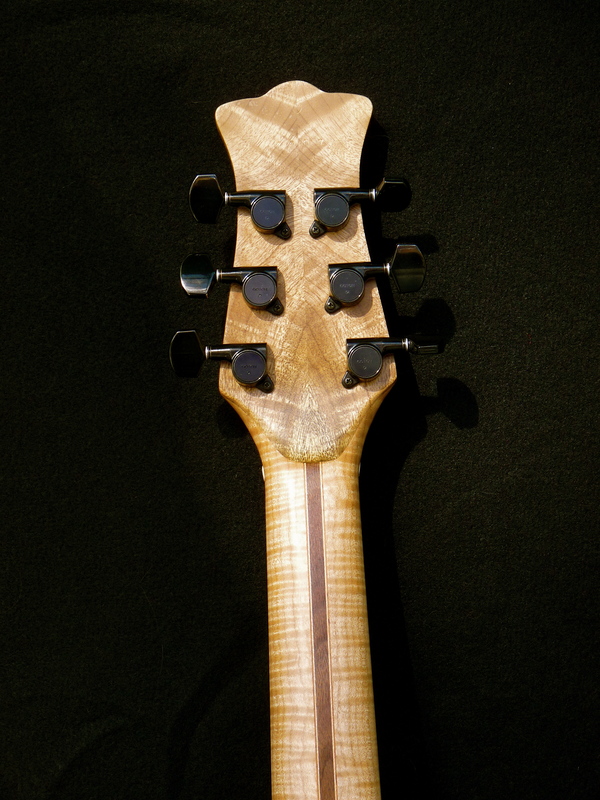 Gotoh tuners, gold “EVO” frets, and a JJB Artist series Prestige-330 pickup. 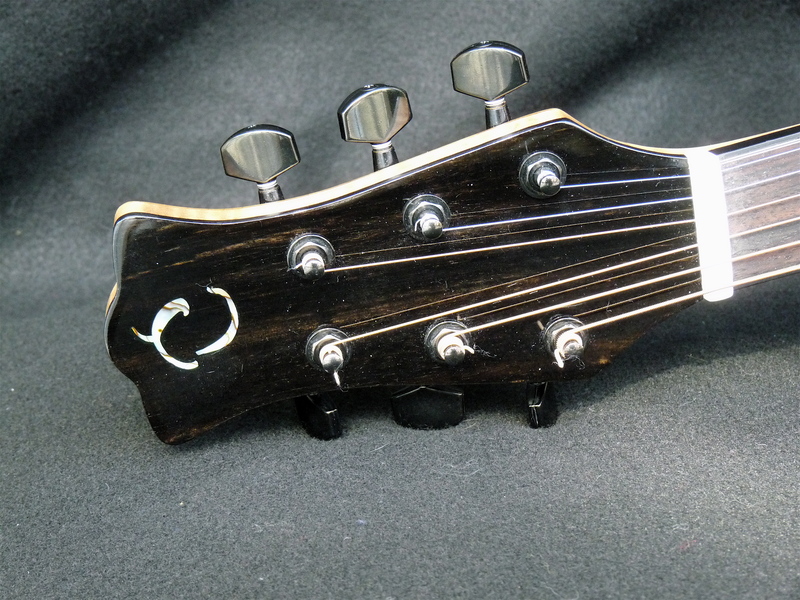 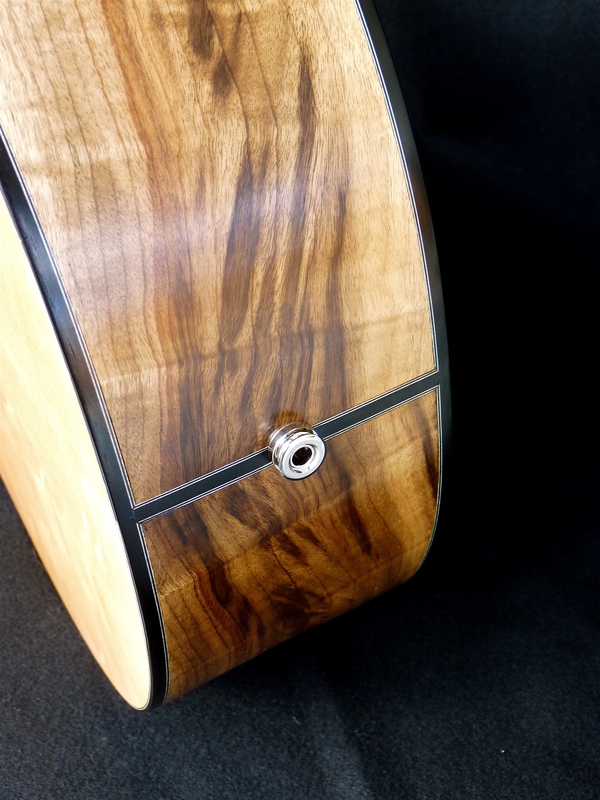 A special 12-fret custom “Rounder” can be seen here.